Noted neuroscientist Thomas Südhof, M.D., will deliver the next Flexner Discovery Lecture on Thursday, Dec. 13. His talk, “Physiology and pathology of neurotransmitter release,” is also part of the Allan D. Bass Endowed Lecture Series and will begin at 4 p.m. in 208 Light Hall. Südhof is the Avram Goldstein Professor of Molecular and Cellular Physiology at Stanford University School of Medicine and an investigator of the Howard Hughes Medical Institute. Südhof’s research has focused on the relay of information in the brain — from one neuron to the next across specialized structures called synapses (the “gaps” that function as sites of communication between neurons). Südhof and his team have studied how synapses form, how they transmit signals and how they become abnormal in neuropsychiatric disorders such as Alzheimer’s disease and autism disorders. Südhof is a member of the National Academy of Sciences, the Institute of Medicine and the American Academy of Arts and Sciences. 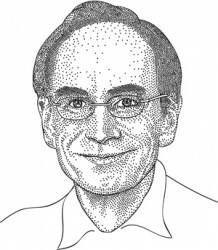 He received the Kavli Prize in Neuroscience in 2010. The Department of Pharmacology is sponsoring Südhof’s lecture. For a complete schedule of the Flexner Discovery Lecture series and archived video of previous lectures, go to www.mc.vanderbilt.edu/discoveryseries.